I have to say that in this novel, Jean Plaidy did a fantastic job at portraying characters' worst traits. The story was one of intrigue, suspense -which brought out in me, utter disgust for all of the main characters: Queen Elizabeth, Lettice Devereux, Dearest(sarcastically) Robin- Earl of Leicester, and the totally obnoxious Earl of Essex (Lettice's son). The entanglement of their lives, unhappiness, deviousness and so much more, had me hating each and everyone of these historical figures for awhile...But, one thing is for sure, Plaidy did catch my attention (she always does)- and made it so that I will never forget this book; I was completely hooked and could not put it down! Read my review, and you'll see what I mean. If you’re looking to read about a REAL historical hero who’s got it all; strength, chivalry, superb knightly skills, insurmountable patience and intelligence, passion, loyalty, faith, love of family, fidelity, rugged looks, and the guts to stick to his purpose no matter what…then THE SCARLET LION is the book for you. Seriously though, let alone the fact that I personally fell head over heels for this genuine hero, there is so much substance in this novel regarding history, that I must recommend it as an Absolute Must Read for anyone interested in the 1200’s. The novel takes us from the end of Richard The Lion Heart’s reign (Eleanore’s favourite son), right through to the last of King John’s days. Not only was William a superb knight, loyal to his last breath- He was also a true family man, completely devoted to his wife, the beautiful Isabelle de Clare, who bore him ten children. Theirs was the ultimate love story of two people who were equals in everything. After living a life under the scrutiny and reign of the atrocious King John (who was immoral and cruel without remorse) which nearly put their own sons at risk, their love and marriage would still culminate in the happily ever after. In fact, even though Isabelle was 20 years younger than William, after his death, Isabelle could no longer find happiness and she too died a year later. The thing I found most enjoyable about reading this novel (that could easily pass for non-fiction considering its impeccable accuracy), was the perfect mix of battle, love, rich history and exacting character portrayal, to balance the read and urge me on. If there’s one thing I hate, it’s reading endless pages of either one of these elements non-stop (especially battles or dewy love scenes), resulting in boredom. This was not the case here. The story progressed and flowed exquisitely- I was hooked till the end. Chadwick’s writing style is none other than superb. Reading this novel is like being immersed into the scene itself. Her writing is clear, specific, including descriptive moments within every single sentence. This kept me tuned into the book without ever needing to skim through any part. Her story telling is a captivating feast for the senses. After reading The Scarlet Lion, I can truly say that Chadwick stands out in a class of her own. Wow, what a story…who needs real history when fiction is this excellent? For more reviews and creative posts, Please check out Historical Fiction Bloggers Round Table- Calendar of Events, for this amazing Elizabeth Chadwick event. 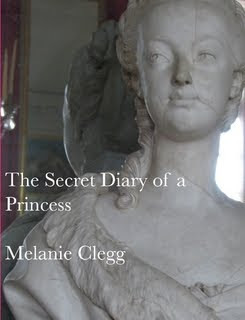 The Lucky Winner of this new novel on Marie Antoinette: TheSecret Diary of A Princess, by upstarting author Melanie Clegg... Read her wonderful Guest Post here. ...is the fantastic artist Ingrid Mida from Fashion is My Muse- who happens to LOVE Marie Antoinette and posts about her all the time! How Lucky is that?! 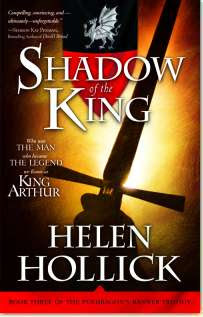 And who is the winner of Helen Hollick's: Shadow Of The King ? Marie!!! from The Burton Review!! Have you ever visited Maria Grazia's Blog: Fly High? If not, you really are missing something...especially if you're into period drama and movies AND- Jane Austen. 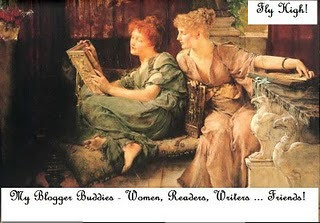 At Fly High, you will find excellent book reviews, movie reviews, Austen-related posts, and so much more. Not only is the blog fabulous, Maria Grazia is what I would call absolutely...Enchanting! Living in Italy, Maria Grazia is an English teacher with a flair for teaching our lovely language in the most creative ways. Please check out her blog, and you'll see exactly what I mean. If you're interested in some menial ramblings about myself, please go check it out. I'm also having a GIVEAWAY there for 2 AUSTEN BOOKS that might interest you. If you get the chance, I'll see you there! 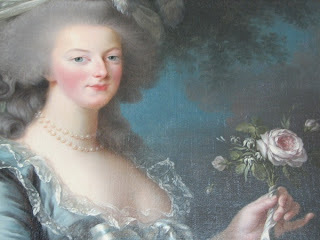 NEW BOOK on Marie Antoinette Announced with Fantastic Author GP -AND-- GIVEAWAY Worldwide!!!! 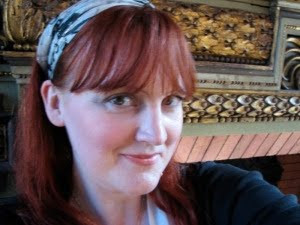 A few weeks ago, here on EBJ, I mentioned that I would have a special post by new Author Melanie Clegg of that amazing blog: Kill Them All, God Will Know His own (Madame Guillotine). Melanie has written a splendid novel, in the form of a Memoir, of Marie Antoinette! I am particularly excited about this new novel: The Secret Diary of A Princess because as you all know, I am completely fascinated by Marie Antoinette and can't read enough about her. So, you can just imagine the excitement when Melanie announced to me that she had finally published her book on this favourite queen of mine! 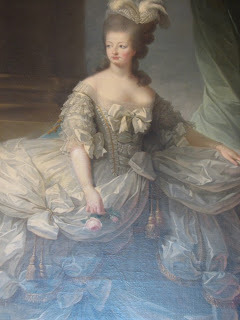 Melanie has graciously written a fabulous guestpost on Marie Antoinette for my blog and has included some beautiful photos to go along. But that's not all...Melanie has also agreed to do a Worldwide GIVEAWAY of her book!!!! Many thanks to the divine Lucy for inviting me to host this guest blog! It is actually my first so I am not quite sure what happens next, to be honest! 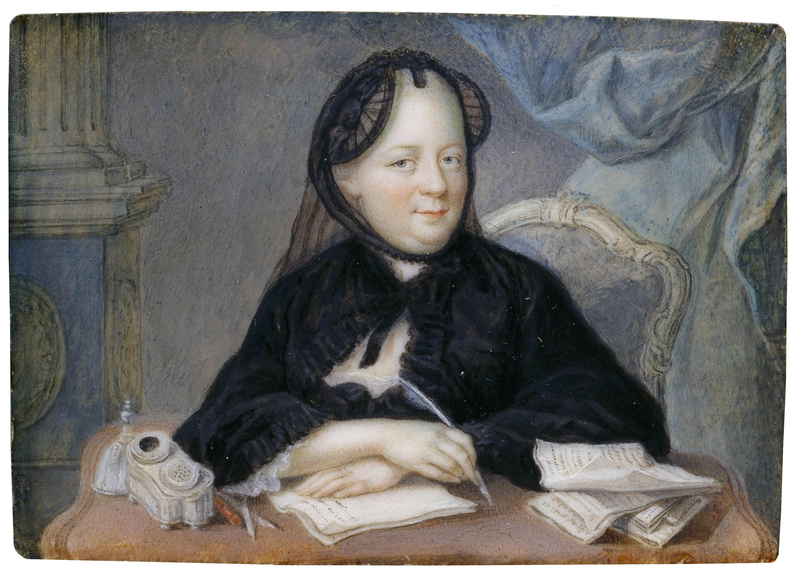 I think I need my own version of Madame de Noailles on hand to talk me through the thrilling etiquette of What A Novice Blogger Should Do On Her First Guest Blog. 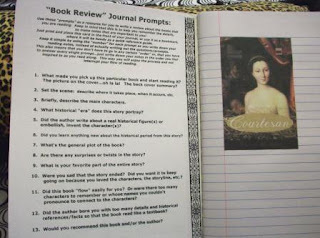 I am very pleased by the interest in my first book The Secret Diary of a Princess, which was published on Lulu press a few weeks ago. I am a bit scared of agents and publishers so decided to self publish my first novel by myself. Of course, the great thing about having an agent and publisher behind you is that they can help you do all the boring marketing type stuff so I am truly thankful to Lucy for inviting me to come here and chat to you all about it! The Secret Diary of a Princess has been described by one of its readers as 'Bridget Jones written by Georgette Heyer about Marie Antoinette', which is simultaneously worrying and also exceedingly flattering as I love Bridget Jones and Georgette Heyer is my all time favourite authoress. 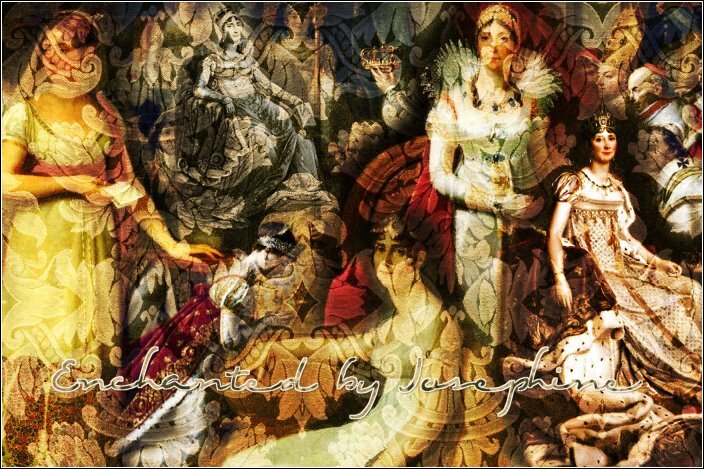 When I started writing it, my plan was to recreate the early years of Marie Antoinette from her life at the Viennese court to the point that she became Queen of France. It seemed to me that everyone is familiar with the hoary tale of the enchanting Queen whose life fell apart amidst sordid calumny and Revolution, but not many people knew about what had led her dainty silk slippered feet to such an awful precipice. 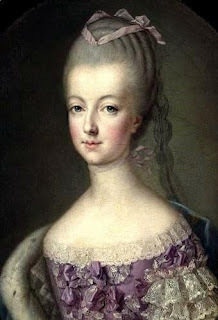 I was also intrigued by the young Marie Antoinette: the youngest and least important of Maria Theresa's eight daughters. At first it seemed like she was fated to be either married off to an obscure princeling or, unimaginable, consigned to a convent but a series of family tragedies which left one sister disfigured and another dead, brought her to a new prominence and ultimately led to her betrothal to the Dauphin. 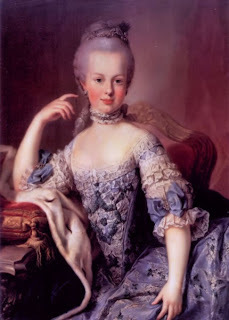 It seems amazing to us now, with the shimmering, luminously beautiful image of Marie Antoinette as painted by Vigée-Lebrun before us, that the young princess was ever anything other than exquisite, with that immaculate grasp of fashion and high maintenance grooming that we scruffy English roses envy so much in our French sisters. But so it was. 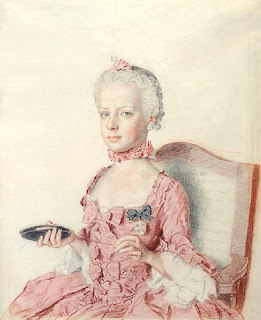 When, at the age of thirteen, the young Archduchess Maria Antonia was first proposed as a match for the Dauphin Louis, she was not actually considered to be suitable French Princess material with both her wardrobe and her looks found to be wanting. The Duc de Choiseul, who was busy promoting the match in France, was informed by the French ambassador to Vienna, the Marquis de Durfort and by Maria Antonia's tutor, the Abbé Vermond that the girl was childish, disliked etiquette, had no interest in fashion and often looked unkempt to the point of scruffiness. They also reported that her teeth were crooked and her hairline was wonky. As for her bosom? Oh la la. Anxious that the match should go ahead, Maria Theresa set to work, first of all accepting assistance from Choiseul with regard to updating her daughter's wardrobe to that of a chic and refined French girl. Parisian dressmakers, no doubt the favourites of Choiseul's fearsome sister, the Duchesse de Gramont, were despatched to Vienna, bearing legions of fashion poupées to take the Archduchess in hand and, much to her disgust, she was made to wear a restrictive whalebone corset. '”Today it was the turn of the dressmakers. I spent several hours this morning being measured for what is to be a splendid collection of clothes. ‘Mama is determined that you should look as exquisite as any of the French princesses,’ Amalia said with a smile as she sat in a chair and watched while the dressmakers showed me swatch after swatch of silk, cotton, taffeta, brocade and velvet in all the colours imaginable, some striped, some spotted and some patterned with tiny stars, hearts, flowers and fruits. There was a milliner as well with the most gorgeous designs for bonnets and hats, a stocking maker who showed me delicious stripped and plain silk stockings, several shoe makers who measured my feet and then made me try on beautiful shoes, the colour of delicate Spring flowers with diamond buckles and ribbons at the heel. Next to be corrected were her teeth and in 1768, a French dentist by the name of Pierre Laveran arrived in Vienna bearing what probably appeared to be a hideous torture device but what was actually an eighteenth century form of brace, designed by the inventive dentist Pierre Fauchard. We can only imagine Maria Antonia's feelings on being told that she would have to wear it for many months to come! “Today, however, Joseph was waiting for me there with a new French dentist who bowed very low and then politely requested to be allowed to see ‘Madame l’Archiduchesse’s’ teeth. He had a silly wig and smelled strongly of roses and cloves, which was pleasant at first but then began to give me a headache as he stood behind me and poked and prodded inside my mouth for about ten minutes before announcing that my teeth were of acceptable quality but lamentably crooked. ‘Just by doing my hair?’ I could not help but laugh at him. ‘Cover your ears, Antonia,’ Amalia said with a laugh. 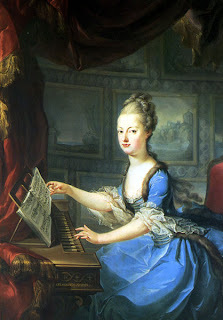 Of course, Maria Antonia’s transformation was not just sartorial - there were hours of dancing and etiquette lesssons to be endured as well before she was declared to have the requisite poise and majestic bearing of a Dauphine of France. For the young Archduchess, who loved to spend her time frolicking in the grounds of Schonnbrunn with her friends and pet dogs, the new improved version of herself that gazed back out from her mirror must have seemed very alien and strange at first. Anyway, thanks so much for reading my ramblings! Ramblings?! Are you kidding me, Melanie?! Anyone even remotely interested in Marie Antoinette can't help but be totally absorbed by these wonderful details and thoughts by/ and regrding the Grand Queen. Thank you so much for enhancing your delightful and most interesting post with excerpts of your book. It sounds wonderful and I for one, cannot wait to read it! 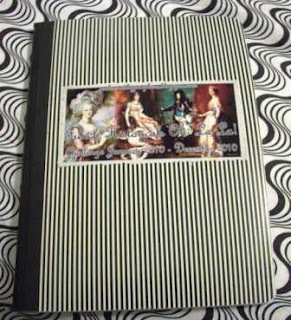 I would love this precious book to land in the hands of a true Marie Antoinette fan so...this time I will open the giveaway to the Lucky Book blogger that agrees to review it on their blog. Let me know if that's YOU. 1 Chance: Leave a comment telling me what you love most about Marie Antoinette (and if you're willing to review this on your blog;). 2 EXTRA Chances every time you tweet and come back here with the link. 1 chance: Leave a comment and your email address. 3 chances: Post about this and leave me yor link. 2 extra chances everytime you tweet and come back here with the link.